This is **literally** the real size of the image I made the wall from. It is also the smallest "model" I've ever worked with. Anyway, I did a lot of painting and vectoring there, obviously, then some brush work and I added the birds for I felt the pic would use some more details. Also I realized that red bits against a blue theme look quite... astounding. What a discovery! 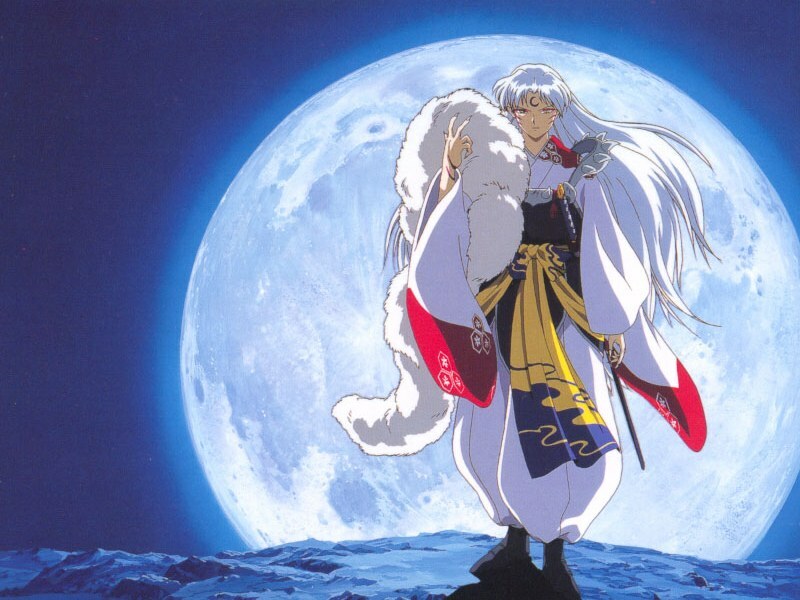 The Sesshomaru picture is taken from a different scan of course, I'm not THAT good to restore it from the original. Yet, ha ha. 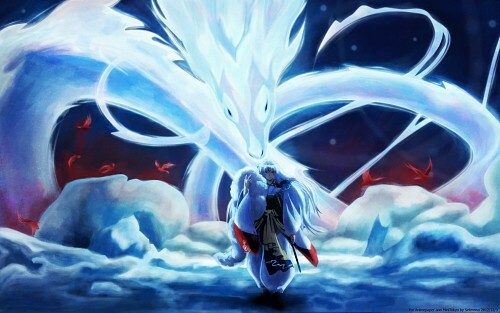 PS: Soryuha is the name of the most powerful Tokijin attack. Wow! Your work is really impressive, especially because you had to work with such a little pic. This wall is amazing and I really love it! The painting is beautiful and I really love the colours. Plus, you managed to add your own touch on it which makes the wall lively. So cool! I love it! And I totally agree with you...there isn't enough Sesshoumaru wallpapers around! Thank you for sharing this! This is great. You have a nice style and you combined the colors in a great way. I'm so glad to see Sesshoumaru looking so good. This is one of those walls that I would actually use. There are definitely not enough good Sesshoumaru wallpapers! Very Fantastic and Adorable! But from which episode is that with the dragon? Fantastic! *__* Love how you worked on it!